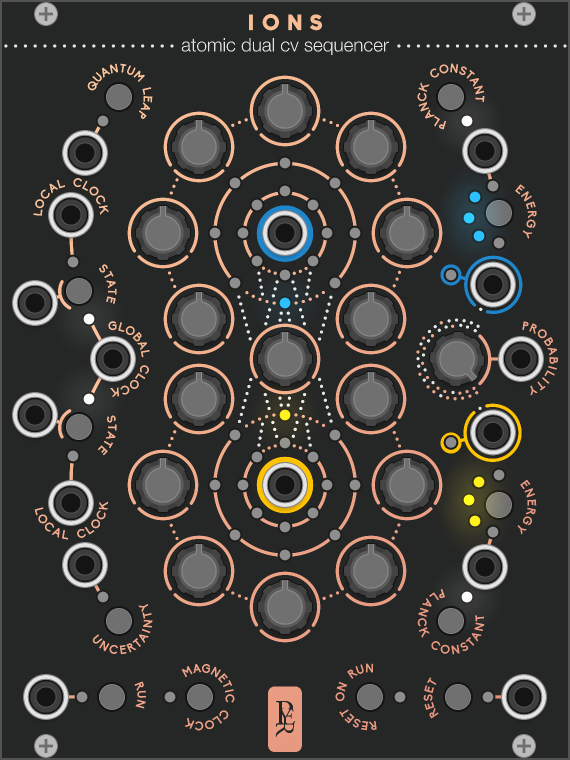 GEODESICS is a free collection of modules for vcv rack available in the plugin manager. can inspire us to create new music. why the user manual is here. 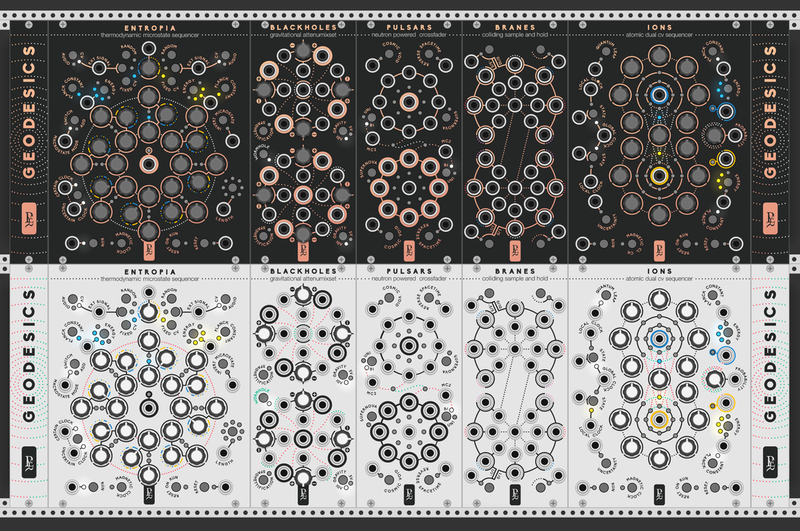 All modules come for free in a bundle available from VCV rack's website. 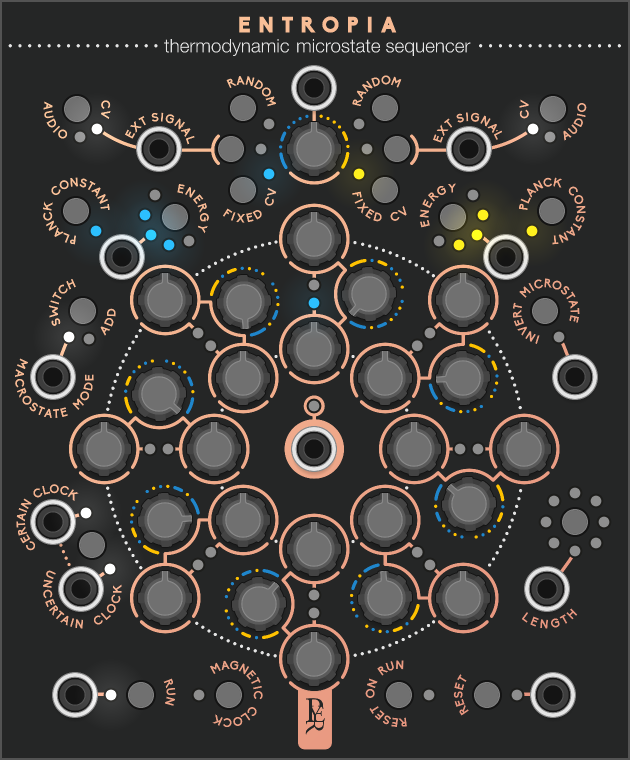 Geodesics has been created on July 2018 by Pierre Collard (industrial and graphic designer based in Brussels) and Marc Boulé (developer and creator of Impromptu Modular based in Montréal). Just like many projects within vcv rack, Geodesic is also a community effort and it would not have been possible without the help of many users, composers and developers participating one way or another to enhance the quality of the project. Feel free to contact us for any inquiries, bug report or features request. GEODESICS is available for free. Copyright 2018 Pierre Collard and Marc Boulé. All rights reserved.